In my first post about getting a DSLR camera. I promised that I’d put up a few examples of pictures that I wouldn’t have attempted to take if I was using a film camera. So I guess I really should, so here they are. 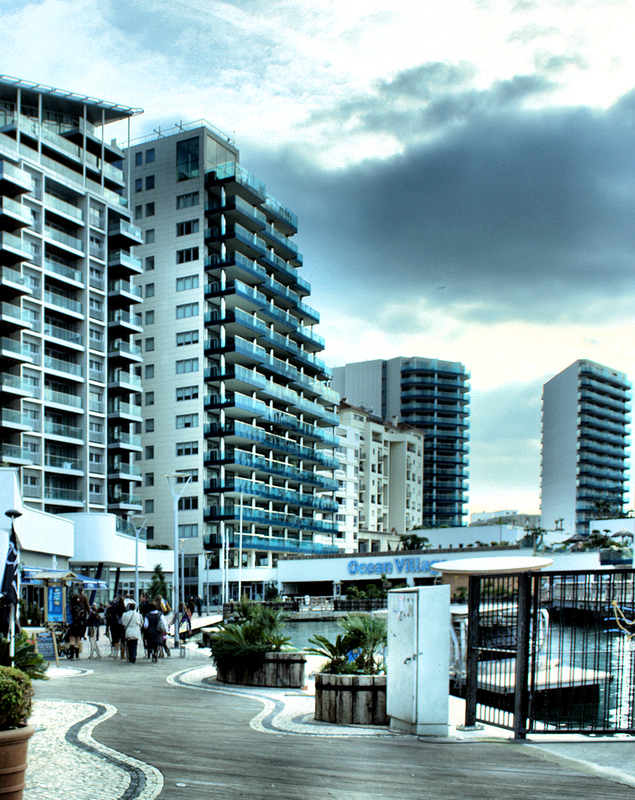 Okay first up is an HDR image of Ocean Village Gibraltar. HDR images may have been possible before but digital but if they were they would have been really difficult. Basically taken using three shots one light one dark and one normal. These are then combined in the computer. I like the cold feel to it and the unnatural look. Secondly we have an Image of the Moon. I really like the way it came out composition wise but I’m still trying to get a final edit of this one that shows the detail of the moon very clearly. 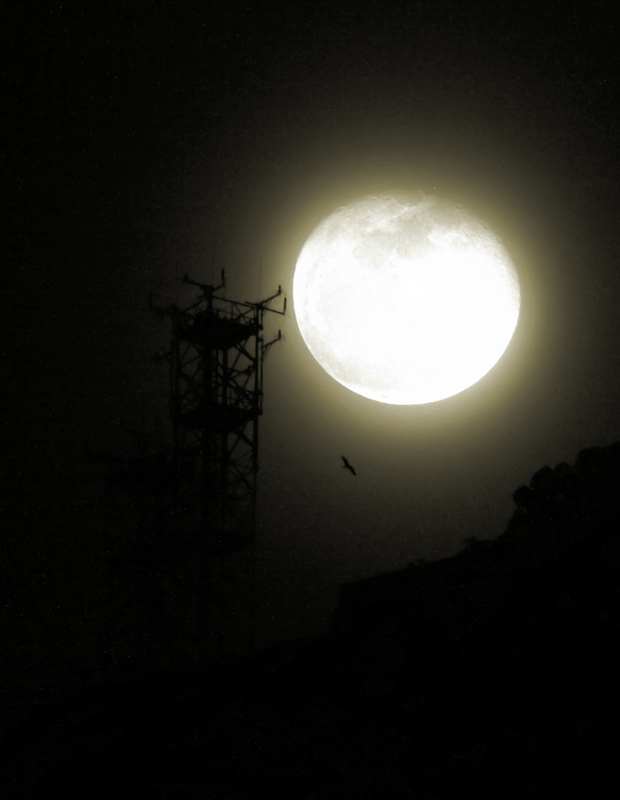 I ended up taking over 100 shots with my camera with a 300mm lens at full zoom to try to get this photograph. The reason it took so many is I was trying to hold the camera steady by hand. Anyone who has used one of these lenses will tell you thats not an easy prospect. To get any image at all I needed to turn the camera up to its highest ISO so the shot was taken quickly. ISO is basically the sensitivity to light. Unfortunately this has brought up a lot of noise. I hope on a later date to be able to fix this on up to the point where I’m happy with it. The next one I’ve taken twice with two very different effects applied in Post processing. They are pictures of my eye. 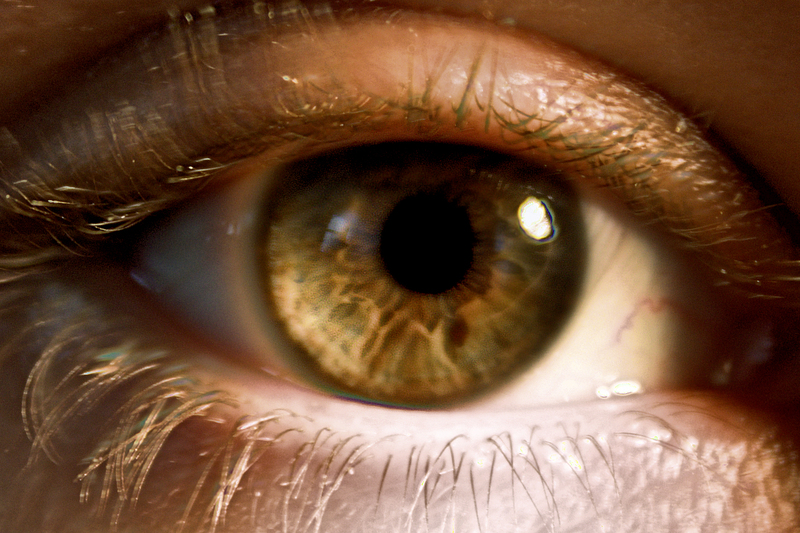 Yes I took a photograph of my eye. This certainly felt stupid. 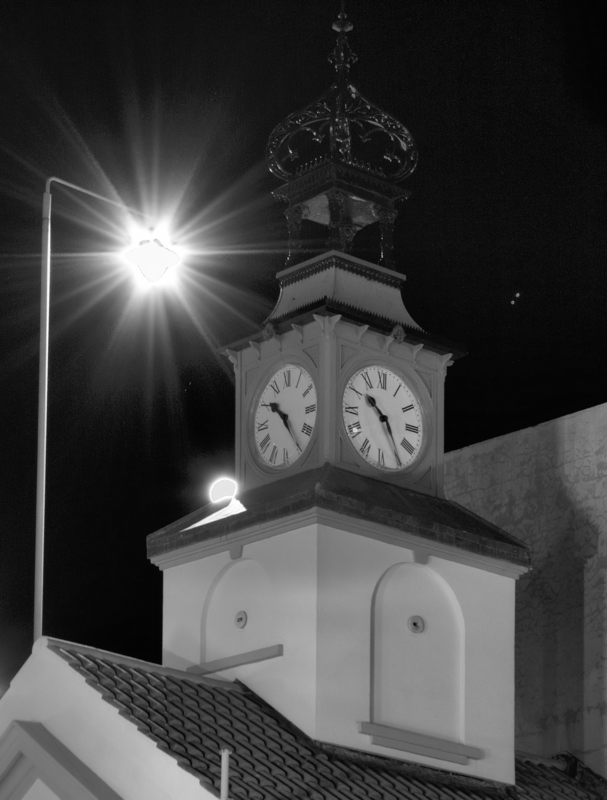 Thank goodness for auto focus on the camera :p.
Finally you can see I’ve also been experimenting with black and white. I’m pretty pleased with this shot. Anyway there you have it. A decent tutorial for HDR can be found at http://www.stuckincustoms.com/hdr-tutorial/ however I find the article itself to be a bit spammy. There are wonderful examples on this page and the pages that follow however. I didn’t us this I just used Paint Shop pro X however for my pictures. I’ve seen some good video tutorials for this on youtube but I can’t find them right at the moment. You can read more about ISO over at wikipedia. The last link I’ll leave you with explains Post Processing. So as you can all see I’m really having fun at the moment.